Do you struggle with knowing there is more in life for you, but you just don't know how to get there? Have you given up hope for the life you've always wanted? Your life doesn't have to go unfulfilled! You can have a better marriage. You can have less stress. And you can reclaim the dreams you used to have! 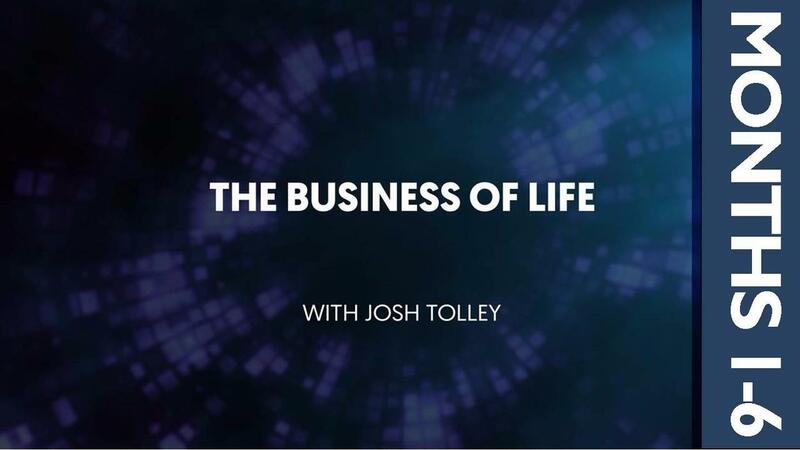 Whether you're an entrepreneur just launching out into business or a seasoned executive of a multi-million dollar company, Business of Life will provide an invaluable perspective of the marketplace that applies to EVERY area of life. Join Josh on this incredible journey of revelation and practical application of business like you've never heard before! It's time to take back YOUR life! The Business of Life provides an invaluable perspective of the marketplace that applies to EVERY area of life. Join Josh on this incredible journey of revelation and practical application of business like you've never heard before! It's time to take back YOUR life! A Top #3 Best Seller in Free Enterprise and a Top #10 Best Seller in Faith; Evangelpreneur has become a must read for anyone who earns money and pays bills.